The Orton-Gillingham approach is a structured, multi-sensory, sequential, and cumulative language-based philosophy. 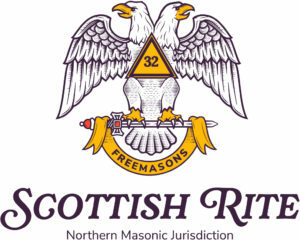 Pioneered by Samuel T. Orton and Anna Gillingham, it is flexible and infinitely adaptable. The approach involves action-oriented, one-on-one tutoring sessions that combine visual, auditory, and kinesthetic elements. Reading and spelling are taught simultaneously, and language elements are introduced systematically. Tutors address vocabulary, sentence structure, composition, and reading comprehension structurally, sequentially, and cumulatively. Students continue to review learned materials as tutors introduce new materials. • Language-based: The Orton-Gillingham approach is based on a technique of studying and teaching language, understanding the nature of human language, the mechanisms involved in learning, and the language-learning processes in individuals. • Multi-sensory: Orton-Gillingham teaching sessions are action-oriented and involve constant interaction between the teacher and the student and the simultaneous use of multiple sensory input channels reinforcing each other for optimal learning. Using auditory, visual, and kinesthetic elements, all language skills taught are reinforced by having the student listen, speak, read and write. For example, a dyslexic learner is taught to see the letter A, say its name and sound and write it in the air – all at the same time. The approach requires intense instruction with ample practice. The use of multiple input channels is thought to enhance memory storage and retrieval by providing multiple "triggers" for memory. • Structured, Sequential, and Cumulative: The Orton-Gillingham teacher introduces the elements of the language systematically. Sound-symbol associations along with linguistic rules and generalizations are introduced in a linguistically logical, understandable order. Students begin by reading and writing sounds in isolation. Then they blend the sounds into syllables and words. Students learn the elements of language—consonants, vowels, digraphs, blends, and diphthongs—in an orderly fashion. They then proceed to advanced structural elements such as syllable types, roots, and affixes. As students learn new material, they continue to review old material to the level of automaticity. The teacher addresses vocabulary, sentence structure, composition, and reading comprehension in a similar structured, sequential, and cumulative manner. • Cognitive: Students learn about the history of the English language and study the many generalizations and rules that govern its structure. They also learn how best they can learn and apply the language knowledge necessary for achieving reading and writing competencies. • Flexible: Orton-Gillingham teaching is diagnostic and prescriptive in nature. Teachers try to ensure the learner is not simply recognizing a pattern and applying it without understanding. When confusion of a previously taught rule is discovered, it is re-taught from the beginning. 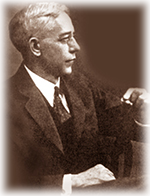 Samuel Orton (1879–1948) - A neuropsychiatrist and pathologist at Columbia University, brought together neuroscientific information and principles of remediation. As early as the 1920s, he had extensively studied children with the kind of language processing difficulties now commonly associated with dyslexia and had formulated a set of teaching principles and practices for such children. Anna Gillingham (1878–1963) - An educator and psychologist at Teachers College, Columbia University. Working with Dr. Orton, she trained teachers and compiled and published instructional materials. 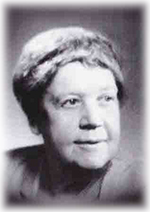 Gillingham combined Orton’s teaching methods with her analysis of the structure of the English/American language and with Bessie Stillman, she wrote what has become the Orton–Gillingham manual: Remedial Training for Children with Specific Disability in Reading, Spelling and Penmanship. First published in 1935/6, this work is updated and republished regularly.